For many, the main focus of a new railing project is selecting the perfect style, color, and design elements. You want your new railing to look perfect in your home! But the reality is, you also need to make sure your railing is safe. This starts by talking to your local code official. Building codes are unique to each county in the United States – that’s why it’s so important for you to check your own region’s code requirements. 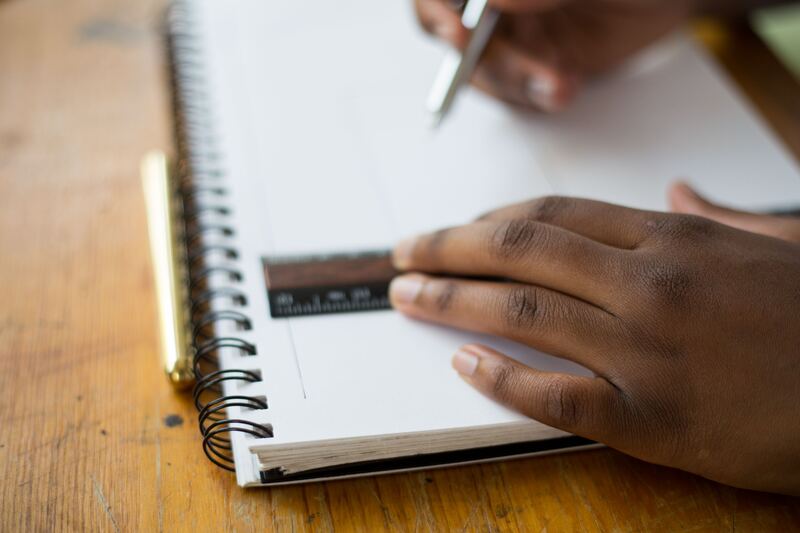 You should find out what’s required for your area before you decide on final project details… trust us, it’ll save you a headache in the long run! 1. What are the railing spacing requirements? How large can the gaps be in your railing? This is especially important to consider if you are looking to install cable railing or another minimalist style of railing.The most common railing code enforces the 4” Sphere Rule, which prohibits gaps in railing large enough for a sphere 4” in diameter to fit through. This ensures that a child’s head will not fit between the railing. If you are using balusters or glass panels in your railing, the 4” Sphere Rule should be simple to accommodate. Just ensure your gaps are less than 4” wide. However, accommodating the 4” Sphere Rule can be more tricky when using a material like cable, which is a bit flexible and can deflect slightly if pulled on. For cable railing, we recommend that each cable be spaced 3 ⅛” apart to ensure a 4” gap remains at all times, even with slight deflection of the cable. To help with this, we also recommend that posts be no more than 4’ apart, which reduces the ability of the cable to deflect. If your posts must be spaced further than 4’ apart, you may need an intermediate post to stop the cable from deflecting too much. Contact your code official to find out if your county enforces the 4” Sphere Rule, and if you need to be aware of any other spacing requirements unique to your region. 2. How tall should my handrail be? Handrail must be tall enough to adequately protect your family and guests. In most locations, building code calls for stair handrail to be between 34” - 38” high. The most common handrail height on a stairway is 36” tall. Handrail height for balconies varies based on location, but is commonly in the 39” - 42” range. Make sure you confirm the required measurement for your area to stay compliant, then ensure that any posts or newels you are purchasing are tall enough to support at least the minimum required handrail height. 3. Do I need grab rail? Occasionally, local building code may require the use of grab rail. This is an additional handrail mounted lower on the posts, intended to provide an easier grasp for those going up and down stairs. If your project includes stairs, it’s important to check if grab rail is required in your area. If you find out that your system will require grab rail, make sure that the posts and other components you are purchasing are compatible with grab rail. Often, metal posts and glass railing systems have options available that allow grab rail to mount directly to the metal post or pane of glass. We have found that most areas have adopted the 2015 International Residential Code, which is the most recent iteration. However, some localities use an older code or some other set of guidelines. That’s why it’s important to check to ensure you are accommodating your area’s unique rules. The easiest way to find out the residential building code for your area is to contact your local building department. A quick web search should lead you to contact information for your building department. They will be able to answer your questions and provide the information you need. 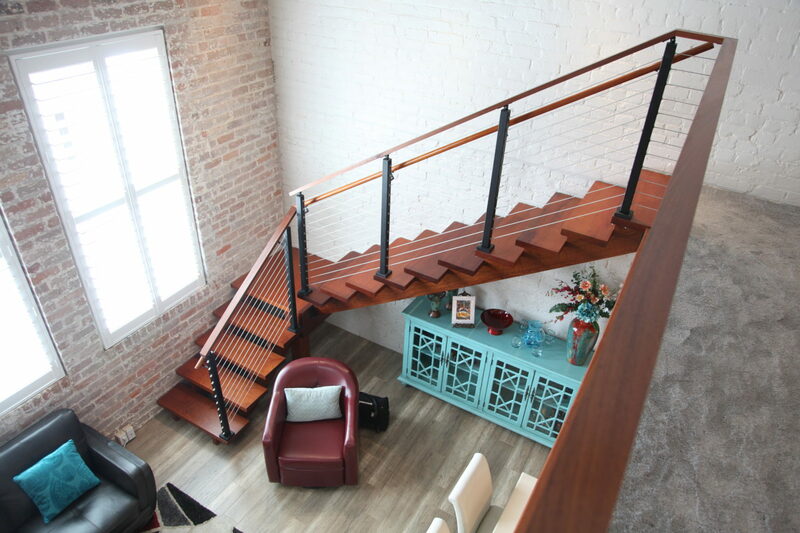 At StairSupplies, we can help you with nearly any style of railing that you’d want for your home. 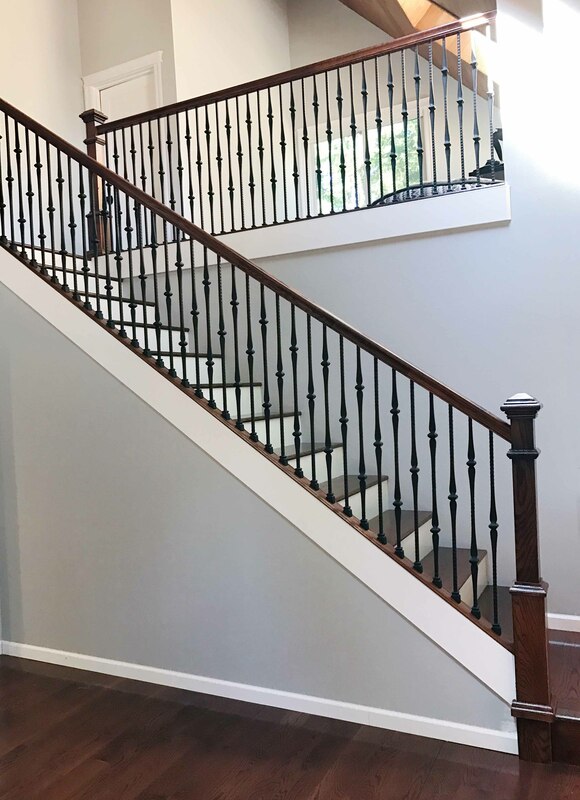 We offer a variety of traditional wood railings and iron balusters, as well as more modern options such as cable and glass railing. Visit our Design Center to get started.